Aecht Schlenkerla Rauchbier Marzen is my all-time favourite beers. There are better tasting beers, and beers I’ve drank more times, but this Marzen from Bamberg, smoky heaven, is my fave, because of its no-nonsense pungent aroma that overwhelms newcomers and satisfies my cravings for a particular taste that I’ve been happily avoiding in 23 years of vegetarianism. I first drank it several years ago in Israel. It was distributed here, then distribution stopped. Then another importer started marketing this beer and even brought Schlenkerla wheat beer for a while but then they stopped bringing it as well. Maybe there was no demand for it. I believe there wasn’t. I also believe that Schlenkerla is a classic acquired taste product and that both distributors failed to educate the market. There’s a small but dedicated fan-base for Laphroaig single malt, which is an even more challenging drink than Schlenkerla, so there’s something to work with. The Secret Agent and I try to drink this brewery’s products whenever possible. Last Saturday Heavy Metal Cousin brought over bottles he bought in Prague. 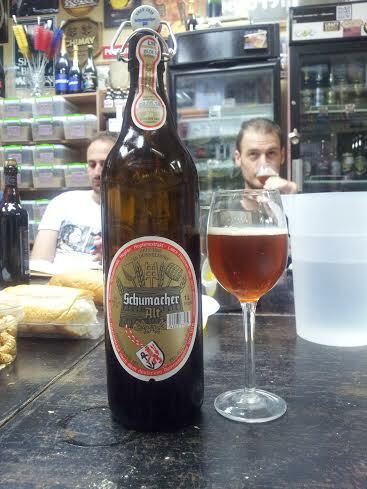 We organized a tasting, took Schlenkerla Eiche – doppelbock – out of the beer fridge – and tasted it, along with a fine collection of Slovanian, French,Scottish, Danish and English beers we’ve accumulated in our travels, and a few more that the other participants added. 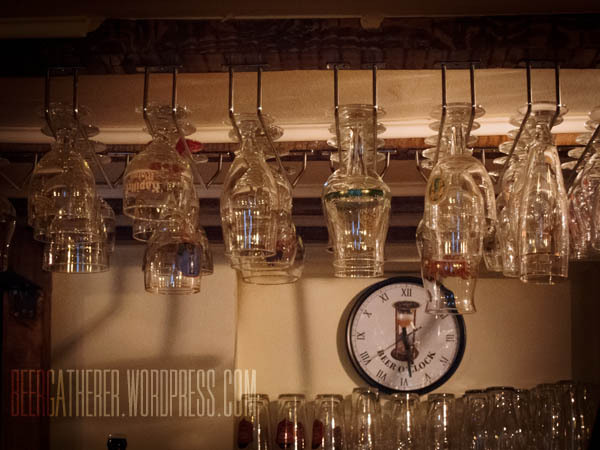 There were Beavertown and De Molen and Weyerbacher and Brewdog, but the crown jewel were the three Schlenkerla bottles, especially the Marzen – long time no drink, my love, and you’re as beautiful as I had remembered you. Smoky, meaty, bitter and complex, yet very sensible and drinkable, providing you’re prepared to the unusual taste. 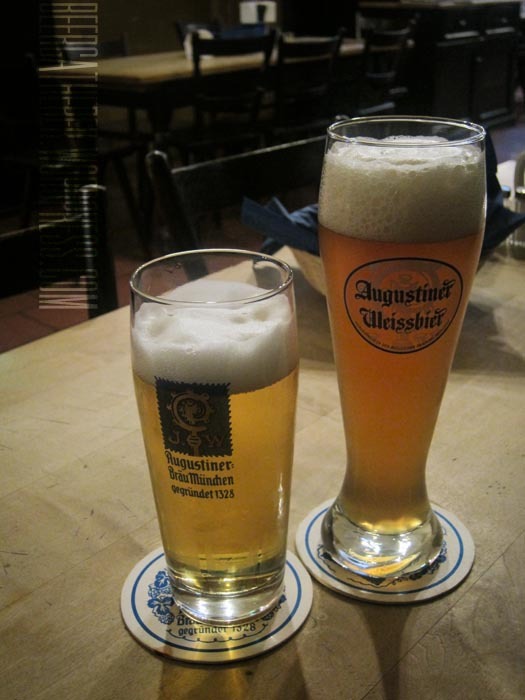 A recap of different Kölsch beers I drank and haven’t blogged about yet. 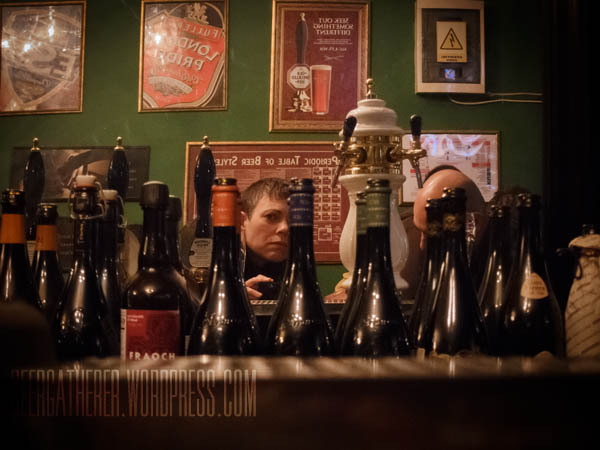 First time I’m blogging about Kölsch, actually, since I had to add this category for this entry. 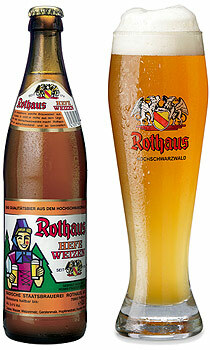 Last year The Beergreek went to Köln on a business trip and brought a few bottles of the local, area-designated brew. 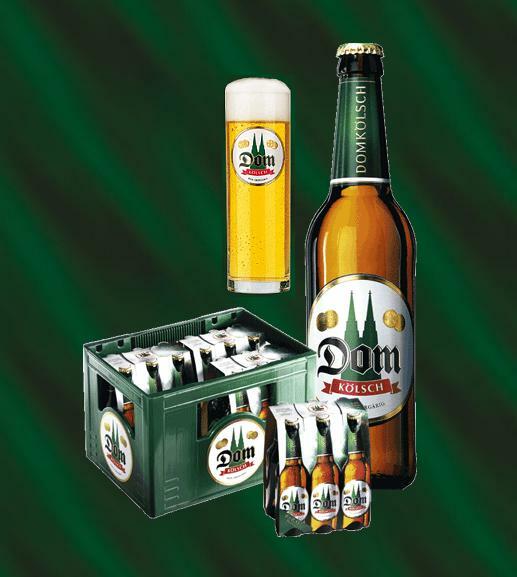 In an Alphabetical order, Dom Kölsch comes first, with an illustration of the famous cathedral on the label. Clear and very light yellow-gold. Cooked vegetables aroma, mildly bitter in the mouth. Light body, nice finish. Next comes Früh Kölsch, a beer that The Secret Agent and I are very fond of; it was the first beer we drank on our first beer trip, 3 years ago. We drove from Liege airport to Köln early in the morning and the Brauhaus by the Cathedral (or Dom, in German) was our first destination. We entered the place around half past eight in the morning, but the problem is that they start serving beer only at 9. 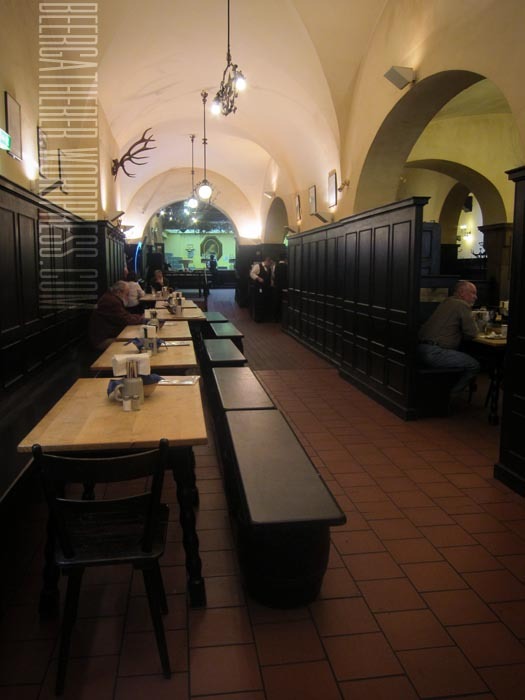 We ordered Frühstück, aka breakfast and patiently waited for half and hour, until the elderly servers started walking around with the special tin trays that hold 20cl glasses of beer. It was so fresh and so quaffable that you could go on and on drinking it. 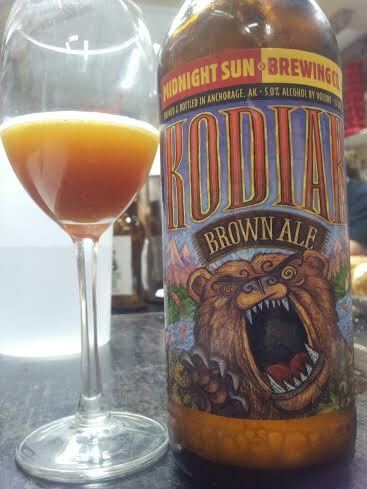 However, bottling kinda ruins this beer and while the bottle the Beergreek brought was fine and malty, it just wasn’t the same as drinking it fresh. 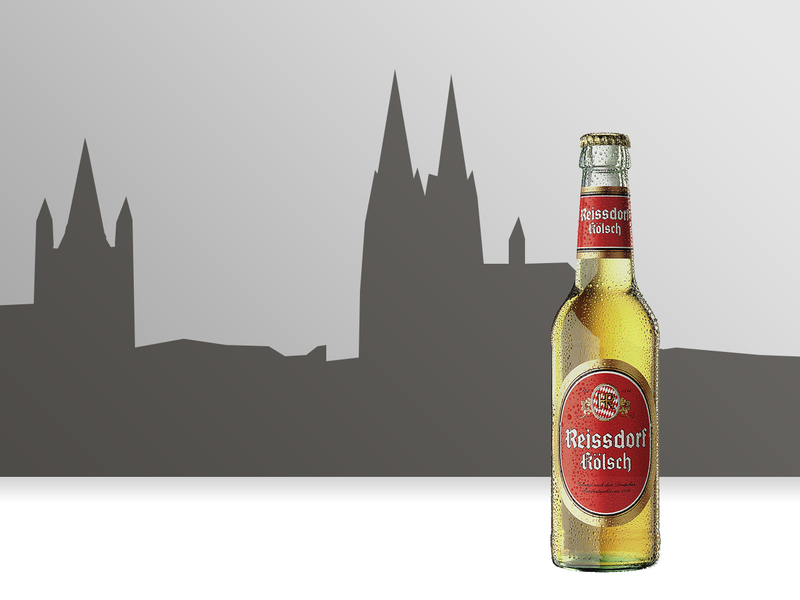 Reissdorf Kölsch didn’t quite match to the first two. Light blond, clear, white film. 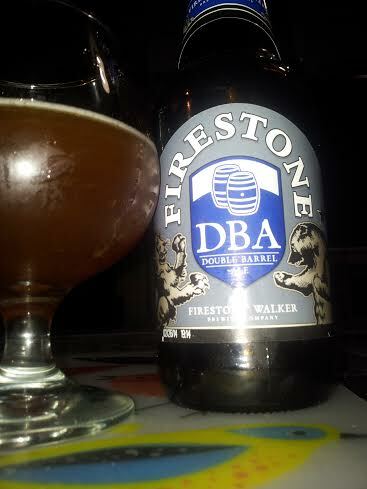 Slightly grainy and a little corny aroma. Bitter, a little grainy taste. Light body, sweet finish. 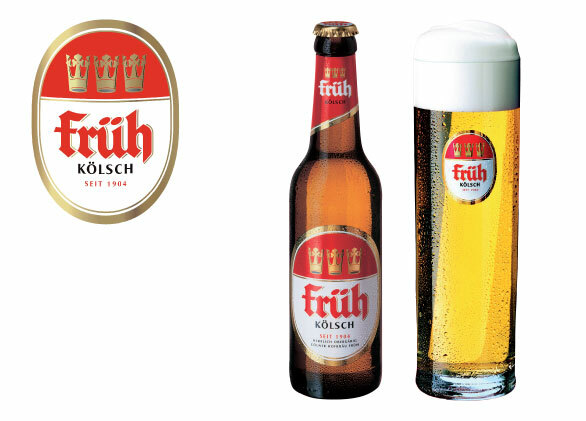 Dom Kölsch, Früh Kölsch and Reissdorf Kölsch are beers #379, #380 and #381 I Must Try Before I Die. 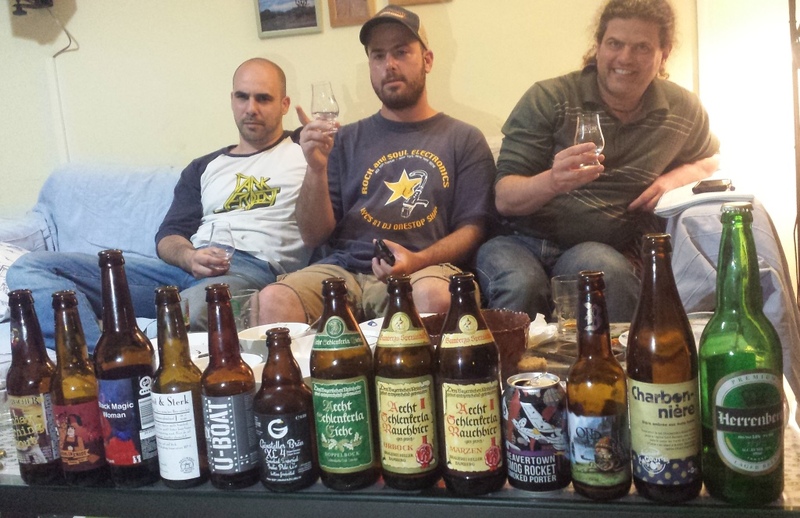 In the early days of the blog, I used to review a bunch of beers shared in one tasting. It’s an easy way to get a hold on things, really. Whereas it’s no longer a habit, I still sometimes take close-up shots of bottles that were shared at a single tasting that are also listed in The Book. Here’s one of these shots. 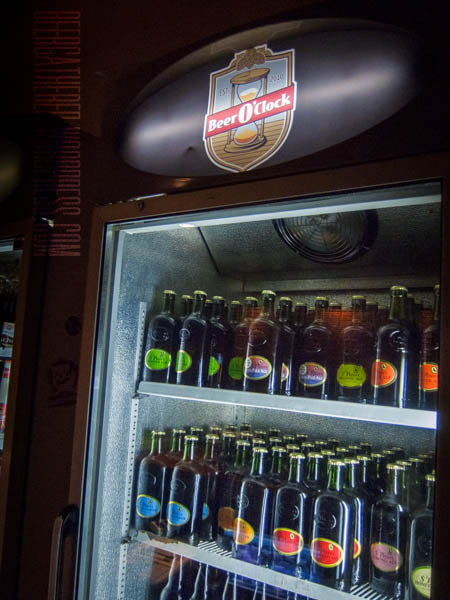 Two German beers that come in reusable bottles – see the scratch marks above the label. The first is König Ludwig Weissbier, aka Prinzregent Luitpold Weissbier Hell. 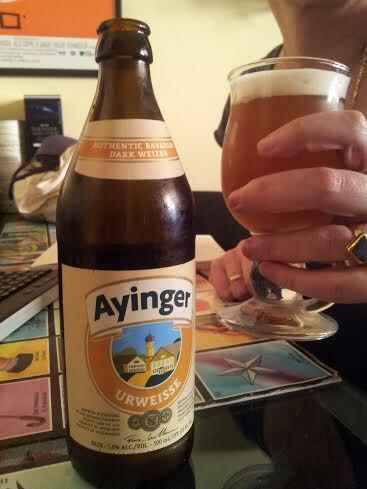 That’s a German Wheat beer that troubles bought in one of his recent business trips to Germany. It pours cloudy blond with white head and has a juicy aroma of grapefruit, bubblegum, apple juice with some notes of punch-banana ice cream. 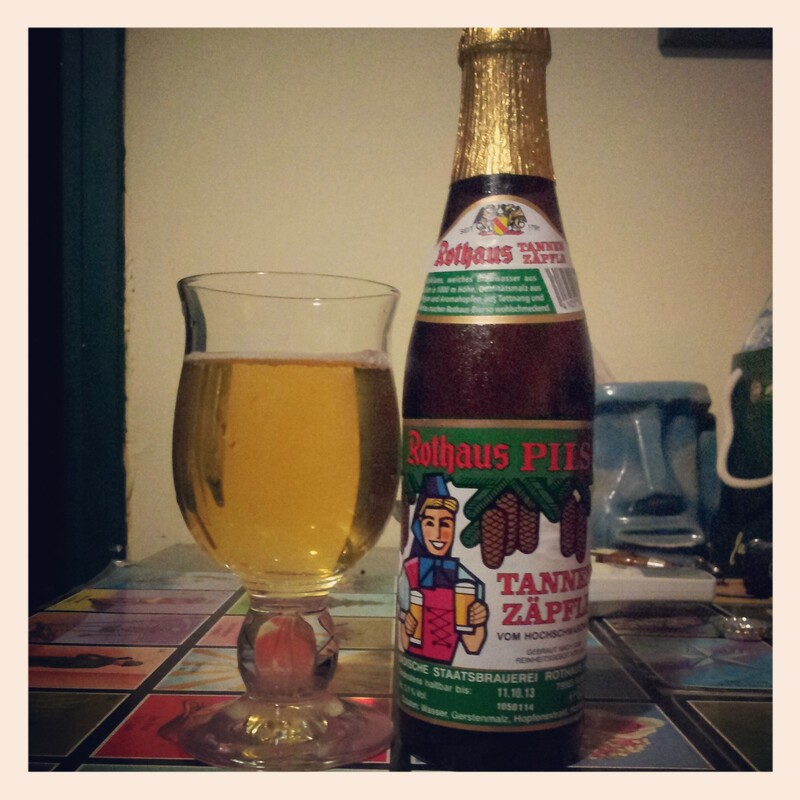 It tastes mild – a little tarty with light bitterness. Juicy, medium-bodied, light carbonation and apple nectar finish. Pretty good, but can do with some more carbonation and body. Troubles also shared Tegernseer Spezial, Helles beer, a rather mediocre beer from, well, Tegensee in Bavaria. Clear pale gold-green with white head, light hoppy bitter aroma, some grass and some phenol. Light citric taste, a little bitter and a little sweet. Light body, medium carbonation, long, mildly bitter finish. Meh. Last is HaandBryggeriet Ardenne Blond that I got in a trade with a ratebeer buddy. It’s a really cool saison that hails from Norway. My bottle had weird floaties that swam in hazy blondliquid covered by white head. Sweet floral aroma with some white summer fruit graced my nostrils and a tarty taste, a little plastic-y, with some citrus that definitely didn’t feel hop-derived met my mouth. Smooth, medium-bodied with mild carbonation and long, bitter and tarty finish beer that’s both tasty and refreshing. 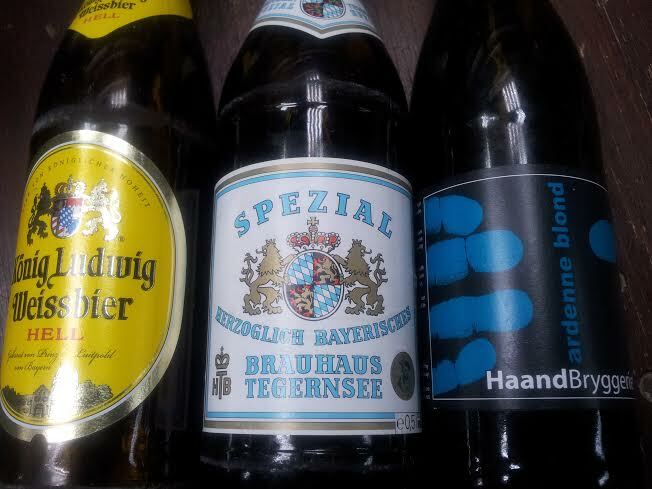 König Ludwig Weissbier, Tegernseer Spezialare and HaandBryggeriet Ardenne Blond are beers #366, #367 and #368 I Must Try Before I Die.